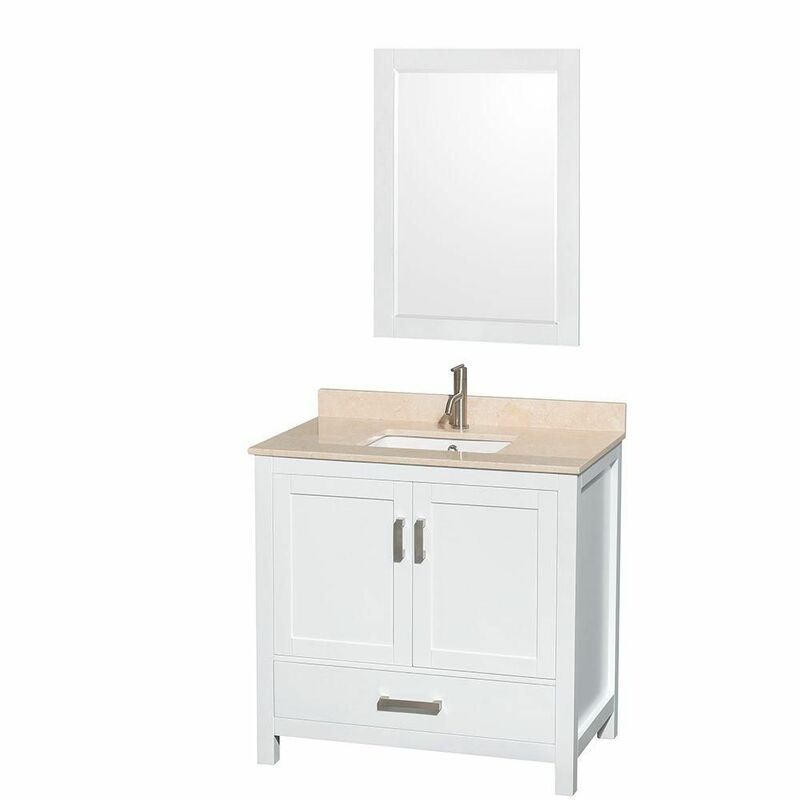 This classy 2 piece vanity set will be a fabulous addition to your bedroom or dressing area. Create a peaceful space to get ready for your day, or a great place to dress for a fun night out. This piece features smooth lines, charcoal coloured metal legs, a vertical swivel mirror, and a center shelf to keep brushes, makeup or other accessories. The grey marble-look top and the matching stool with a comfortably cushioned black chenille covered seat, will add sophistication to any room. This classy 2 piece vanity set will be a fabulous addition to your bedroom or dressing area. Create a peaceful space to get ready for your day, or for a fun night out. This piece features smooth lines, bronze metal legs, a vertical swivel mirror, and an open shelf to store brushes, makeup or other accessories. The cappuccino marble-look top and the stool with a comfortably cushioned beige microfiber seat, will add sophistication to any room.